Reduced scarring over traditional ORIF methods make forearm rodding an excellent option for patients where scarring is a concern. 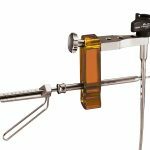 The system’s graduated drill and drill guide, radiolucent targeting guide, and canal reamers are designed to aid in templating length and appropriate rod diameter, while also facilitating a straightforward surgical technique. 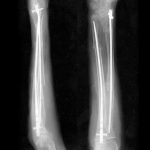 The Acumed Forearm Rod System offers surgeons an alternative option for the treatment of fractures and osteotomies of the radius and ulna over traditional plating. 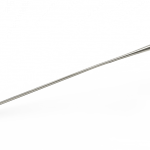 Each fluted rod is designed to be inserted through a small incision with minimal canal reaming. A targeted interlocking screw, combined with a paddle blade tip design, locks and rotationally secures the bone segments to assist in fracture union. 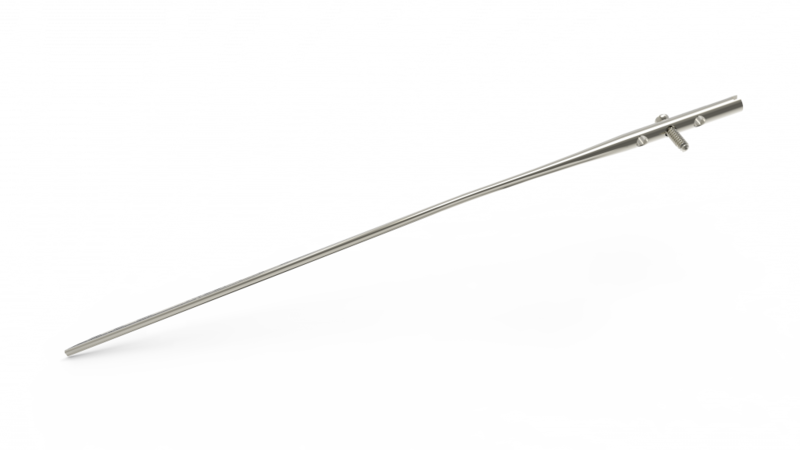 The rod is designed to be inserted through a small incision with minimal canal reaming. 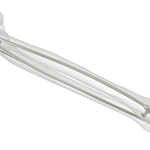 The rod’s paddle-blade tip and interlocking screws are designed to lock and rotationally secure bone segments to assist in fracture union. The straightforward surgical technique is designed to streamline the surgical experience. 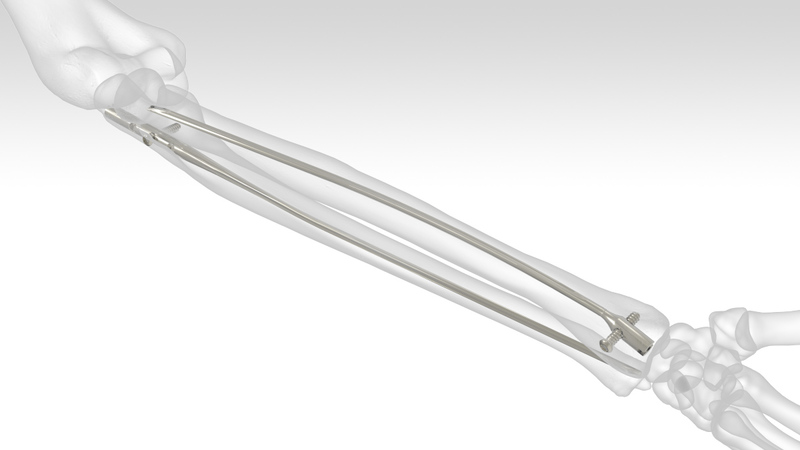 Rods are precontoured to match the ulnar canal’s geometry. 1. Bugler K, Watson C, Hardie A, Appleton P, McQueen M, Court-Brown C, et al. The treatment of unstable fractures of the ankle using the Acumed fibular nail. 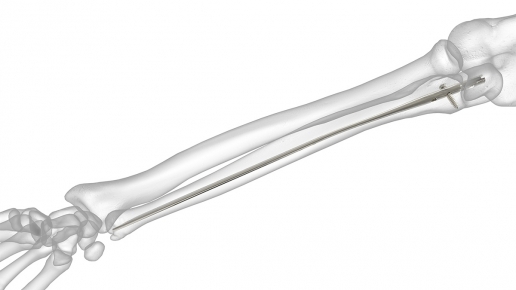 Bone Joint J Br. 2012;94–B(8):1107–1112. 2. Lee YH, Lee SK, Chung MS, Baek GH, Gong HS, Kim KHet. 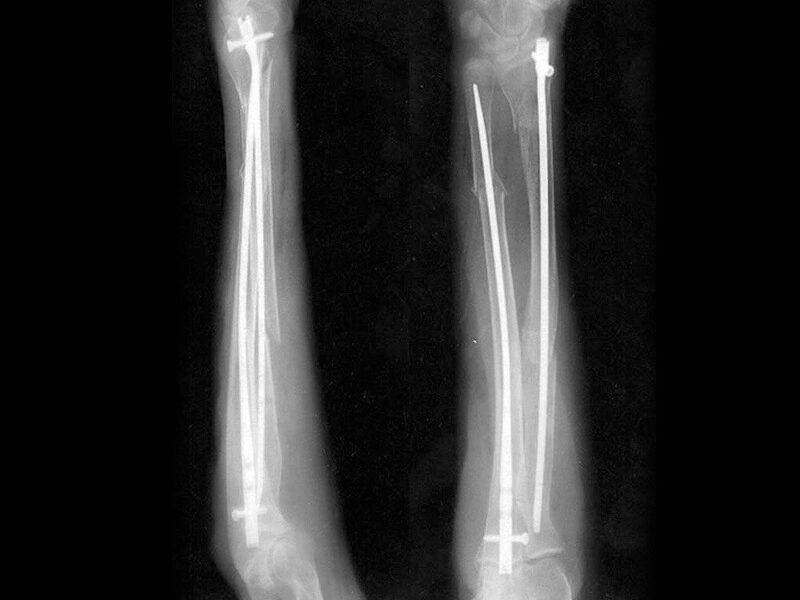 Interlocking contoured intramedullary nail fixation for selected diaphyseal fractures of the forearm in adults. J Bone Joint Surg Am. 2008;90:1891–1898. 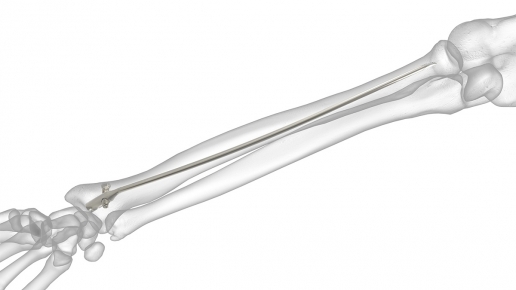 The Acumed Ulna Rod is used to treat fractures and osteotomies of the ulna. 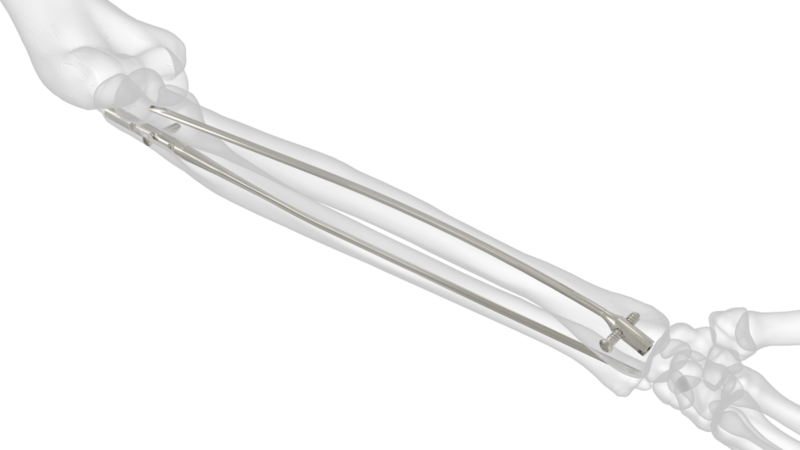 Contoured to ease insertion and closely match the curvature of the ulnar canal, the rod's targeted interlocking screws and paddle-blade tip are designed to lock and rotationally secure bone segments to stabilize the fracture. This minimally invasive technique may reduce scarring and surgery time over traditional ORIF. 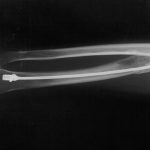 The Acumed Radius Rod is used to treat fractures and osteotomies of the radius. 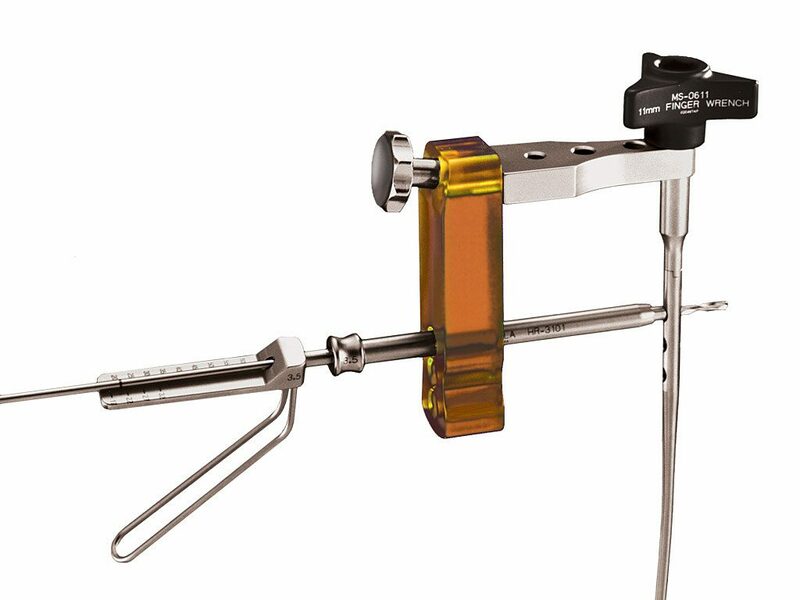 Contoured to ease insertion and closely match the geometry of the radial canal, the rod's targeted interlocking screws and paddle-blade tip are designed to lock and rotationally secure bone segments to stabilize the fracture. This minimally invasive technique may reduce scarring and surgery time over traditional open reduction internal fixation (ORIF).